Monsanto has paid for its refusal to appear before the European Parliament by losing its right to enter it, as MEPS have shut the door on their lobbyists until further notice. EURACTIV France reports. 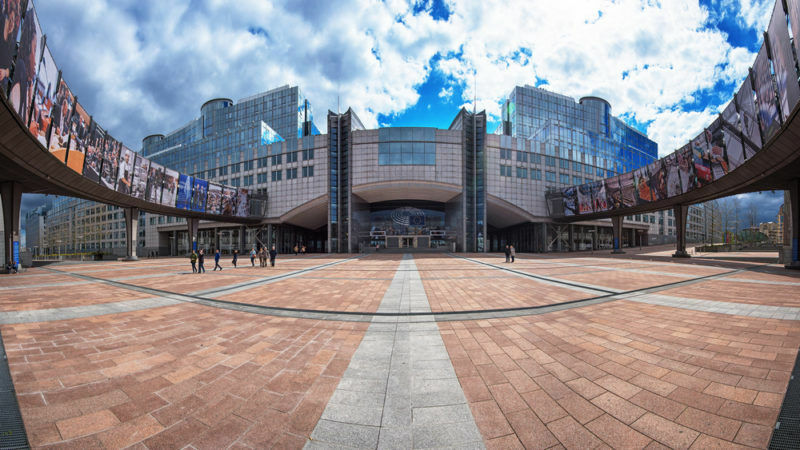 The Conference of the Presidents – composed of the leaders of the European Parlaiment’s groups – decided on Thursday (28 September) to withdraw the right of the American company’s lobbysts to access the Parliament’s buildings. “We have just officially refused access to the European Parliament to Monsanto lobbyists. This decision has been taken by the Conferenfe of the Presidents on 28 September,” explained Marc Tarabella, head of the Belgian Socialist Party delegation, in a press release. The Parliament’s decision follows the refusal by the pesticide company to appear before the parliamentary committees on energy and environment on 11 October to discuss the ‘Monsanto Papers’ and glyphosate. MEPs wanted to ask the firm questions regarding the Monsanto Papers revelations: 250 pages of confidential documents declassified by the US judiciary in March, which revealed Monsanto’s concerns regarding mutagenicity of glyphosate in 1999. This phytosanitary molecule, the most popular herbicide in the world and the key ingredient in Monsanto’s brand Roundup, was classed as “probably cancerogenic” to humans by the International Agency for Cancer Research (IARC) of the UN World Health Organisation. At the European level, the European Food Safety Authority (EFSA) has issued a scientific opinion saying that the molecule is not cercinogenic and the diverging scientific opinions are based on a difference in assessment methods. Glyphosate’s licence is due for renewal by the end of October but the Commission has said it will not extend it without sufficient support form member states. The parliamentary committees on agriculture and the environment received a “no” answer from Monsanto in mid-September The company argued that the European Parliament “is not an appropriate forum to discuss these questions”. The European Parliament has no tools to oblige companies to be summoned and questioned. But if it has no hard power, the institution’s political leverage has already worked in the past. Within the committee charged with looking at the LuxLeaks scandal, a number of multinational companies had declined the MEPs’ including McDonald, Amazon and Fiat. That is, until MEPs threatened to deny access to their lobbyists.